We have the knowledge and experience to provide a comprehensive joinery service, always maintaining a high standard of customer satisfaction, giving you complete peace of mind at all times. Tudor Carpentry Services offer a the installation and design of hanging doors. We offer hanging doors for all entrances of your property from rooms to barns. 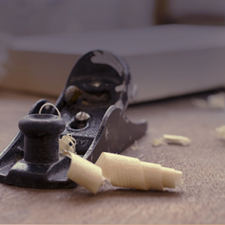 We have the knowledge and experience to provide a comprehensive carpentry service. It can be hard to find someone to professionally repair and refurbish your property while retaining its original style and appearance. Tudor Carpentry Services specialises in restoration work of old and listed buildings, particularly refurbishing box sash windows. We also provide bespoke joinery to improve your home, like kitchen design and planning, and hard wooden flooring. If you are looking for carpentry services in your area, then Tudor Carpentry Services are here to help!